In the Jewish culture pomegranates symbolize beauty, wisdom and above all prosperity. Not coincidentally, pomegranates are a popular choice in Judaica art. 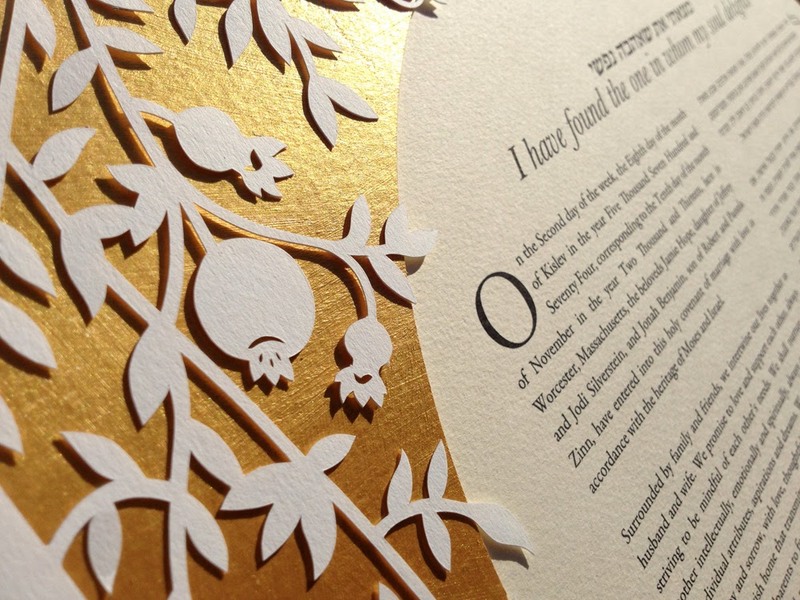 When I was a small child, there was still a fading tradition to exchange Sweet NewYear cards at Rosh HaShanah. The cards always featured quaint little nostalgic scenes of children and gardens and cherubs and flowers. 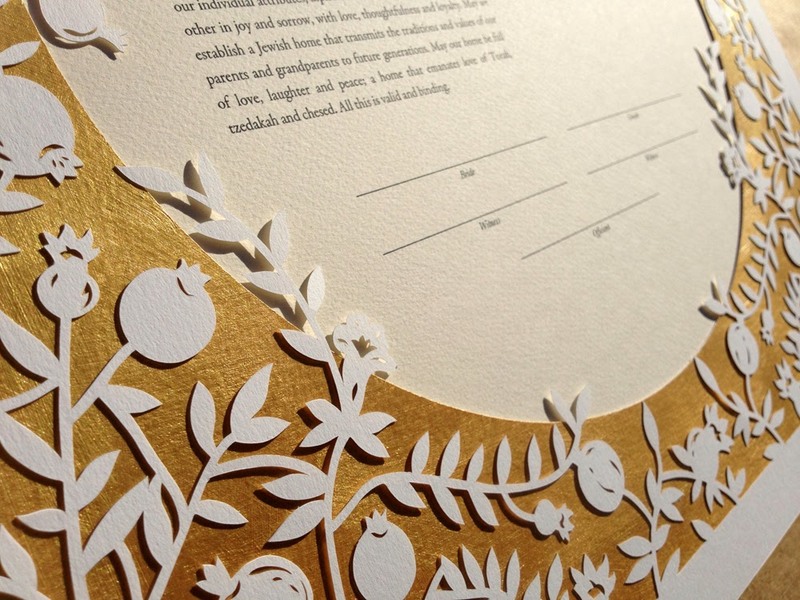 They were so strangely foreign, with papercut details and glitter embellishments. Anyone else remember them? By the time I was in 6th grade they were history. I still think of those cards, though. They were my first glimpse of grossly decorative art that featured Jewish elements but wasn't Judaica art in the least. Not any style of Judaica that I was familiar with anyways. Nouveau Judaica, as it were? My point is, I think that's what I strive for. 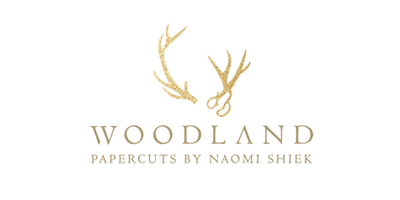 A decorative art influenced by my culture and religion but with a modern, global twist to it. 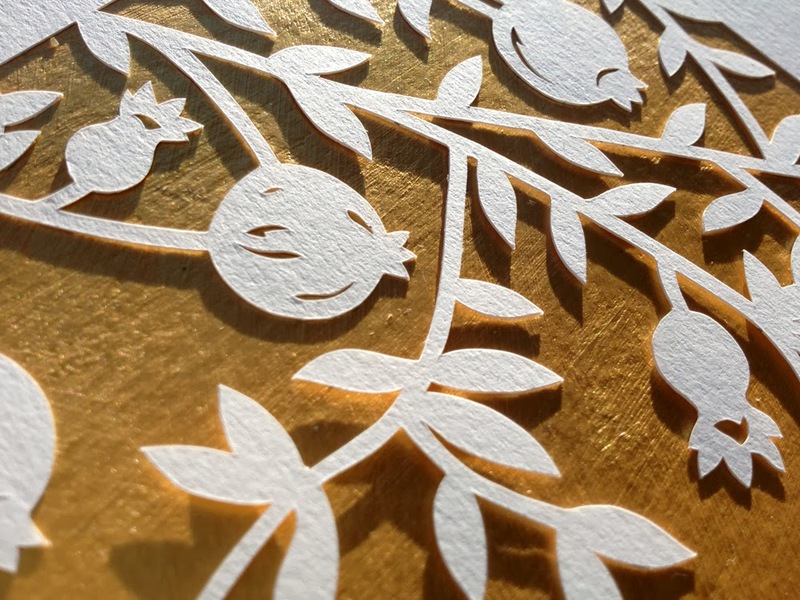 So even if a local won't see anything familiar about my papercuts, others will read some visual cues in them and attribute them to modern Judaica in some small way. 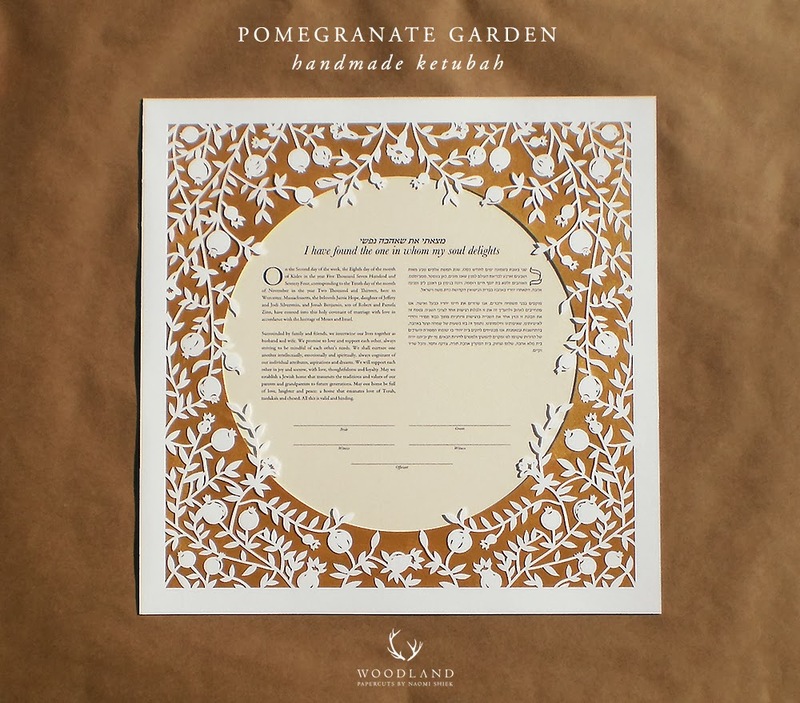 And on that note, I'd like to introduce the Pomegranate Garden ketubah! This design is a departure from my usual work, leaning more towards the traditional decorative style, but there's a beauty in this full symmetrical pattern that's mirrored in the symbolism of the pomegranates. 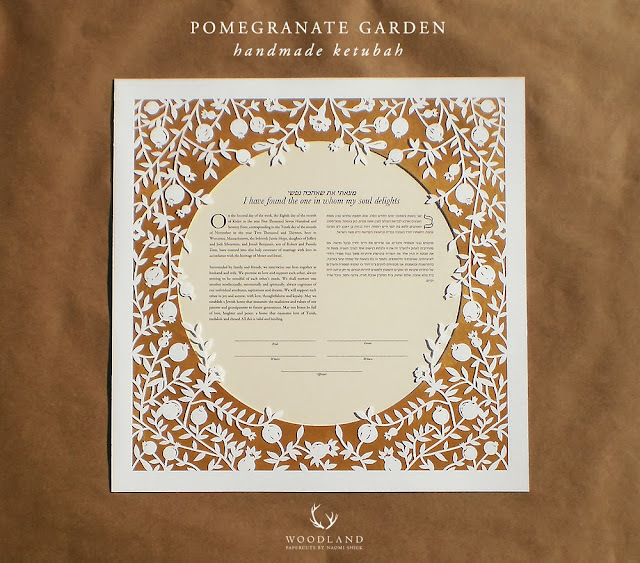 Being 16X16 inches big, this ketubah is based on an older, smaller design I made two years ago. 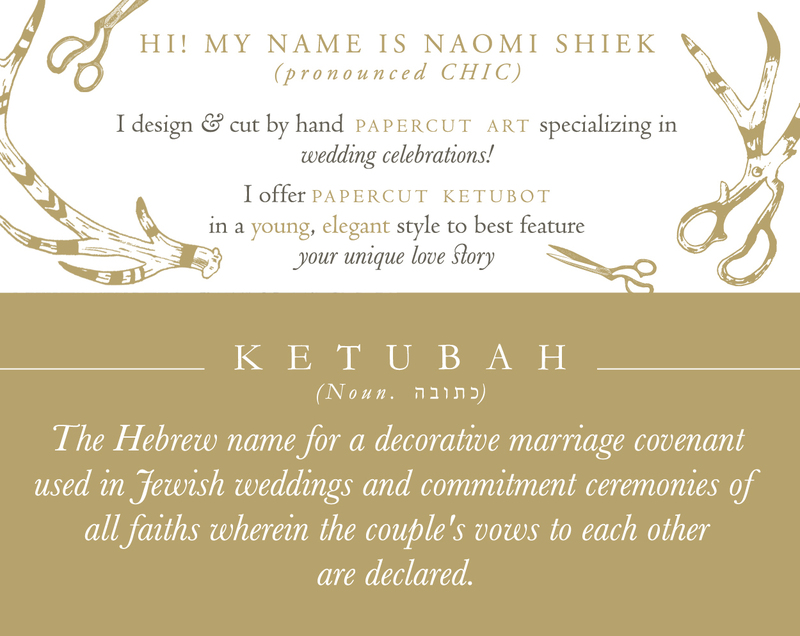 The couple who contacted me to create this larger version loved the ivory and gold coloring of my Seven Species ketubah, but colors are completely customizable for each couple.